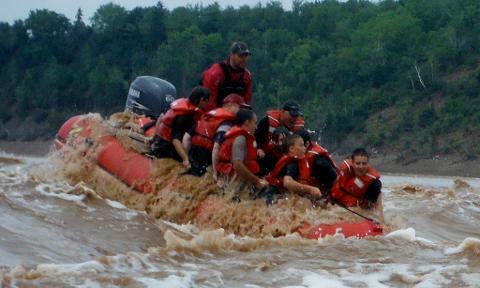 This is a 2hr rafting adventure that will cover 10kms of the river. With this tour, you have the option of rafting the first 10 kms or the second 10kms. Both trips have similar rapids. We will experience rapids ranging in size from 3-14ft. Will start from our departure site and will see the river at its lowest as we make our way to the mouth of the river on the outgoing tide. 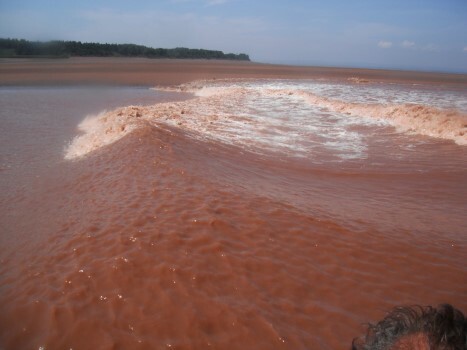 There we will stretch our legs on the a 200 acre sand bar while we wait for the Tidal bore. 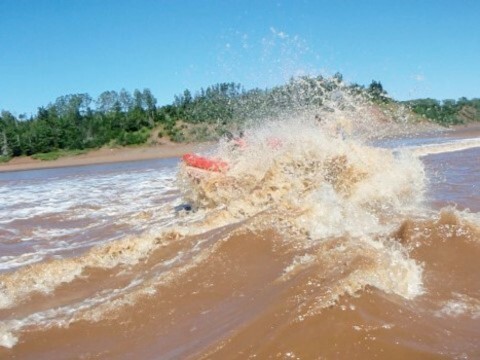 When the Tidal Bore comes we will hop back in the boat and ride the rapids back to the start. 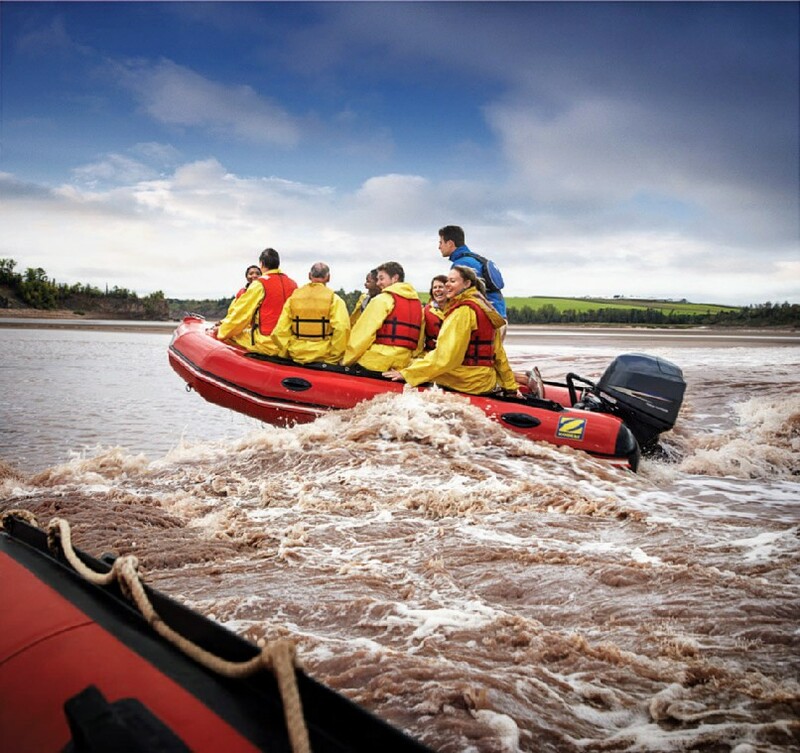 The Tidal Bore will cruise past our departure site where we will get in the boat and start to raft the rapids for about 10km. Then take in the scenery as we we ride back to the start with the water nearly at full height.